Welcome to a new monthly wrap up on what’s going on in the world of Pricing, Behavioural Economic and Business Model Monetisation. Unbundling of Airfares: The Endgame? Last year, airlines in the US (American, Delta, United) introduced a new class of travel. For years, they have resisted the temptation to call the main cabin “economy” (preferring instead to call the back of the bus “coach” [sic]). But grab a “basic economy” ticket, and expect to have to pay more for seat allocation and even overhead locker space. You’ve heard of Willie Wonka’s “Golden Ticket”, but have you heard about Metallica’s “Black Ticket”? 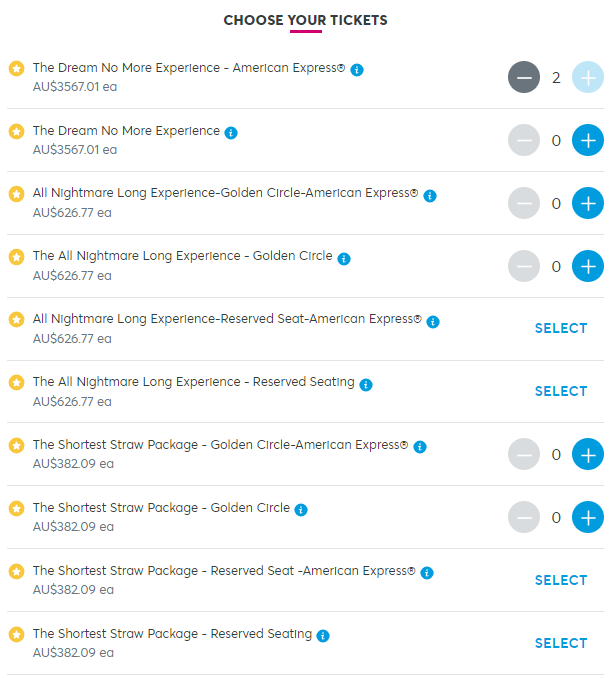 For $US598 you can get access to any one of the bands 30 US shows as long as you RSVP 48hrs in advance (I’ll do the math for you – that’s less than $20 a ticket). If Metallica is not your cup of team, maybe “Harry Potter and the Cursed Child”, now playing at The Princess Theatre in Melbourne is. It’s a performance in two parts, and ticket prices are much more affordable than those of Metallica. But could this be a new theatrical business model, where the time between the first installment and its sequel is minimised to days or even hours. This brings in revenue from “the sequel” much quicker than the traditional “Rocky 99” -type model. The same business model could also work in cinemas. From all accounts, the first installment concludes with such a cliff-hangar, you can’t wait to see Part 2. Seen any interesting pricing lately? 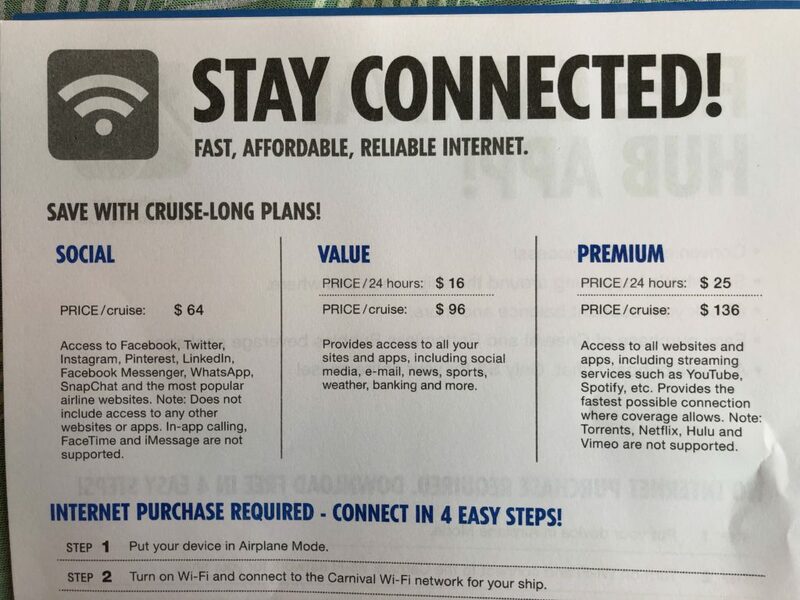 Hat-tip to Lauren Smith who emailed me details of Carnival Cruise’s WiFi pricing, from Florida. Does it remind anyone else of this scene from “The Dictator”?